After running the ’77 Ironhead (aka Imperial Entanglement) for the past few months with a “temporary” Plasti Dip paint job, I decided it was time to give it a more permanent paint job. My plan is to show a lot of bare metal with black primer accents, and seal it under a nice layer of clear coat. 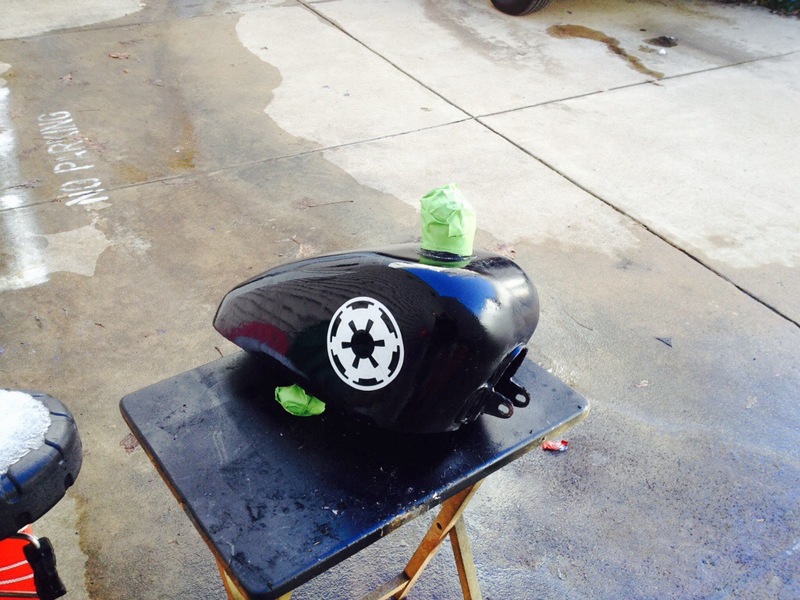 Shortly after I did the original Plasti Dip paint job, I managed to spill a few drops of gasoline on the tank. The result wasn’t pleasant. I peaked off the ruined Plasti Dip and reapplied another layer over the original purple paint. Because a little gas spillage is inevitable, this time around finished the Plasti Dip paint job with an acrylic clear coat. The result was beautiful, and it almost looked like a real paint job. 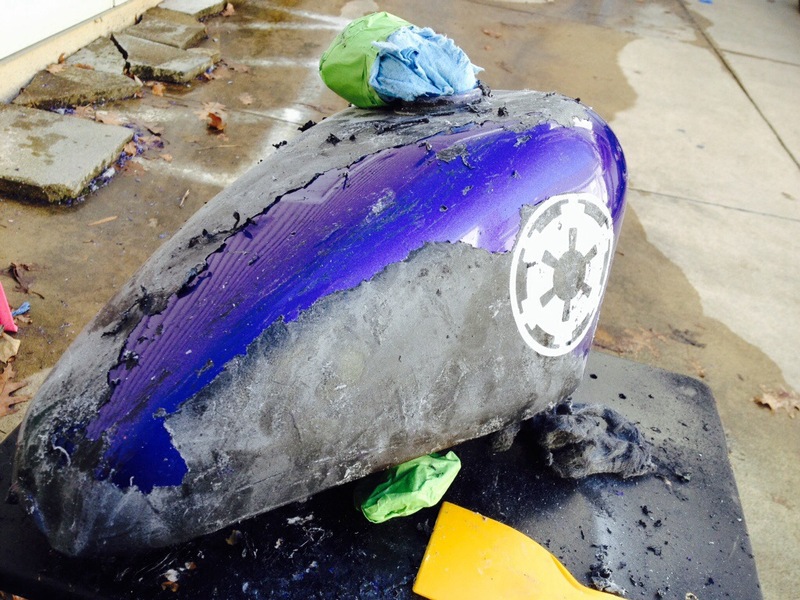 Unfortunately, that clear coat / Plasti Dip came back to haunt me when started the process of repainting the tank. Apparently, clear-coated Plasti Dip is highly resistant to paint strippers, including Aircraft Stripper. Additionally, the process seems to create an ultra-hard shell (after a few minutes of goopy nastiness) that can only be removed with a lot of elbow grease and power tools.